I know this might sound like a weird topic for a cat to opine about, but please bear with me. The Male and Female Human went to a place called BlogPaws where animal purrsonal assistants and staff gather to learn how to better help their felines, canines and other critters blog and write. While at this event, The Female Human met some nice folks from Raw Paws Foods and they had a conversation about a rather embarrassing medical situation I experienced which has now resulted in me being forced to eat organic pumpkin twice a day. I hate the stuff, always try to eat around it no matter how hard The Male Human tries to hide it with smelly fish gravy. It’s been a battle and The Female Human related this struggle to the good folks at Raw Paw Foods when they met. Fast Forward to a month later and The Female Human received a very nice email from Carrie Sokolov from Raw Paws Foods asking if she would like to try the Pumpkin Powder Digestive Daily Support Supplement for Dogs & Cats for my “delicate” situation. The Female Human was thrilled and so impressed that these nice folks followed up, remembered the conversation and cared enough to offer a free package of the product. Raw Paws Foods sent the package. 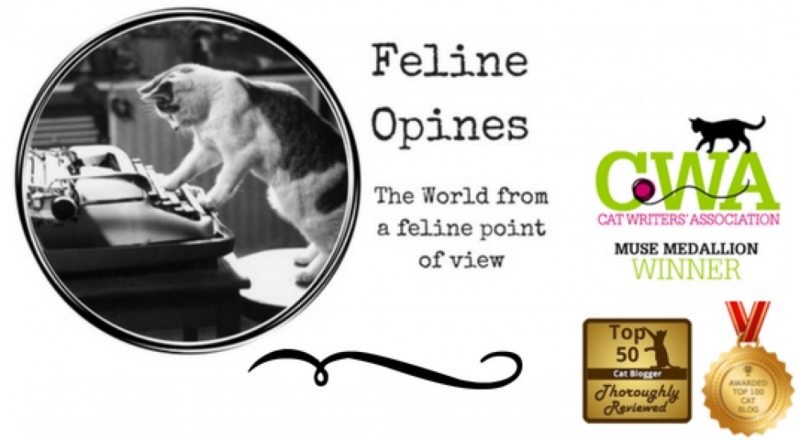 They did not ask for a review but being a feline with great integrity, I felt it was important for me to opine about it….good, bad or indifferent. The opinions are mine alone and are presented here because I believe my other furiends with similar “conditions” might benefit from this pawsome product. To be honest, The Male and Female Humans were skeptical as to whether this pumpkin powder would work. I am a master of sniffing out anything that even vaguely resembles a medicine or supplement. For instance, Pill Pockets stopped working with me the second time they tried to give them to me. One experience with icky medicine hidden in a treat and I had their number! So it was with trepidation that the Humans added the powder to my food. I gobbled it down. The Male Human even started to sprinkle it on the top of my wet food and I still ate it. I really like the stuff and because it’s concentrated it’s easier for them to see if I’m getting enough to keep me “regular”. Even my sister Jasmine is now getting it in her food (we fourteen-year old felines have to keep ourselves healthy). Boy am I happy I don’t have to suffer through that nasty canned organic pumpkin anympre. If any of my furiends out there have a regular problem of not being regular, I’d recommend you give it a try!